Great point and shoot camera. At that time 3 megapixels was a lot for a digital camera. At that time, Eveready hadn't developed the lithium-ion disposable battery. Olympus also used the x-D memory card which hadn't gained popularity among camera manufacturers because it was still new. All in all, a good entry-level digital camera of it's time. I think the D100 was only 1.3MP and used Smart Media cards. So I wonder if Dmaestro is thinking of the D-395. The D-395 did have 3MP and used the xD card format. This was slightly annoying really because xD cards were always more expensive than SD cards. 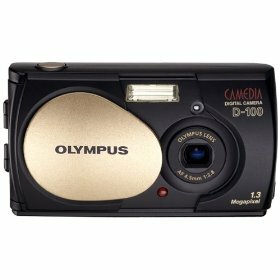 Can't blame Olympus for that though, lots of camera manufacturers at the time (around 2003/4) tried to develop their own memory cards. Almost all of these memory cards have now bit the digital dust - SD is by far the most popular now although that doesn't stop Sony pushing its Memory Sticks! Join in and write your own page! It's easy to do. How? Simply click here to return to History of Digital Photography - your digital cameras.